Book Blurb: Two years ago, the aliens made contact. Now Cara Sweeney is going to be sharing a bathroom with one of them. Still, Cara isn’t sure what to think when she meets Aelyx. Humans and L’eihrs have nearly identical DNA, but cold, infuriatingly brilliant Aelyx couldn’t seem more alien. She’s certain about one thing though: no human boy is this good-looking. Cara finds support in the last person she expected. She realizes that Aelyx isn’t just her only friend; she’s fallen hard for him. But Aelyx has been hiding the truth about the purpose of his exchange, and its potentially deadly consequences. Soon Cara will be in for the fight of her life-not just for herself and the boy she loves, but for the future of her planet. 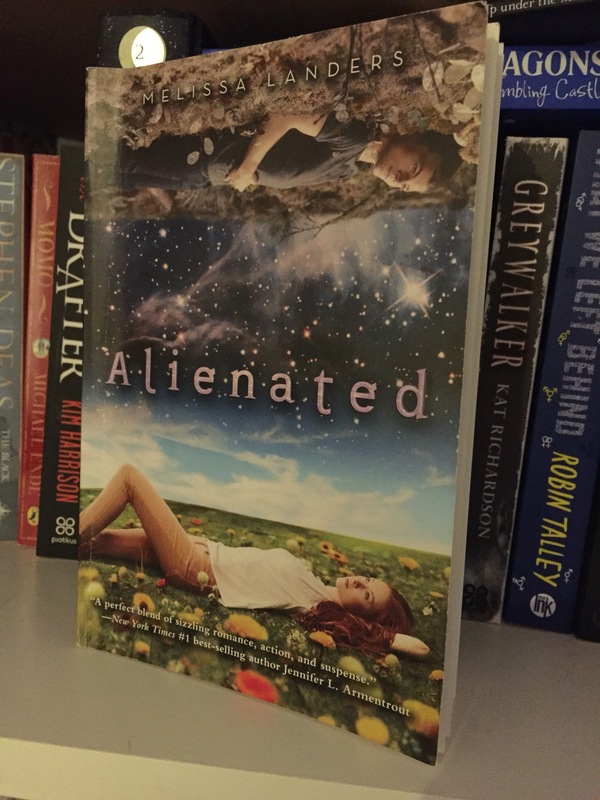 My Review: I grabbed Alienated off the shelf because it was fairly short and I was in a YA romance kind of mood – plus I love the cover. It’s so simple but shows you straight away the nature of the book and it’s really quite pretty. As far as science-fiction goes, it’s pretty fluffy. The aliens from deep space aren’t massively unfamiliar and there’s no unfathomable long techy words or anything like that – but in a way that works well for the story. Whilst a lot of the storyline is about Aelyx and Cara’s slow-burning attraction and high-school politics, the reaction of the world to the presence of the aliens is frighteningly believable. The mob-reflex, fear of the unknown and stubbornness in the face of change is seen so often in real-life situations day-to-day so to have the world respond in such a way to alien exchange students was disturbingly well described. It added a new dimension to what could otherwise have just been a simple cheesy sci-fi fluff book, instead making you think about issues such as immigration, internet bullying and general fear of what’s out in the great beyond. I really enjoyed Alienated because whilst it wasn’t just about Aelyx and Cara, their romance was what held the story together and gave it a focus. It had much more of a storyline than many YA romance novels I have picked up in the past. I’m hoping to be able to get my paws on a copy of the second book in the series because I really enjoyed this one and quite fancy a second dose of feel-good, thought-provoking, sci-fi fluff. I’m not particularly into sci-fi, this story sounds really original and different though! It’s not very sci-fi at all really, it’s very cleverly handled. I’m a bit of a sucker for YA – I probably read more of it than anything else. Love the idea that her blog is going to rocket as a result of it – maybe we should all take a leaf out of her book and share a bathroom with an alien! Sounds an interesting read although I’m a bit wary of romances. I liked this because it had more about it than just the romance. Less superficial than many. Well now I do like a bit of sci-fi myself and I’ve read a fair few, although no YA ones so this was a new genre for me. 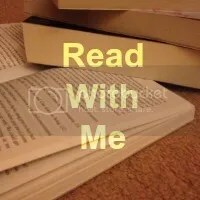 Sounds like you really enjoyed it 🙂 Thanks for linking up at #sharethejoy Carole and reminding me that I need to get reading again! I have a bit of a thing with YA at the moment. It makes me happy.